Center City District Sips Starts Wednesday! Starting June 6, Center City District Sips returns for a 15th summer of food and drink specials at over 90 participating bars and restaurants. Enjoy $6 cocktails, $5 wine, $4 beer and half-priced appetizers 5-7pm every Wednesday, through August 29. Get the full list of participants and specials at CCDSips.com. While you're there, check out featured drink recipes to create Hornitos Tequila cocktails at home. Stay after Sips for 15 percent off dinner at select restaurants. Follow @CCDSips on Twitter and Instagram and tag your pics #HowISip. Lyft is the official rideshare partner for Center City District Sips. Download the app and use the code SIPS2018 to get $10 off your first ride. Philadelphia's center stage shines 12-1:30pm every Wednesday and Thursday afternoon with PNC presents Live @ Lunch, a showcase of live music from local musicians, powered by Live Nation. In June, jazz is at the forefront, with some of Philadelphia's most innovative artists. The summer's best happy hour is Sips at Dilworth Park, every Wednesday from 5–7pm. Enjoy $6 refreshing Hornitos Tequila and Effen Vodka cocktails, $5 wine, and $4 Michelob Ultra and Bud Light along with food specials from the Air Grille, and a DJ each week to get you in the mood to groove. Stick around for more fun after Sips, as the DJ spins until 8:30pm, powered by Live Nation. Look for special Temple Take Over Nights presented by the Temple University Alumni Association. Lyft is the responsible and official ride for Sips at Dilworth Park. Shop Skirt's "Last Call," 7-8pm every Wednesday through Labor Day weekend. Stop by for the most fashionable after party in the city, where you can enjoy complimentary champagne and a fabulous free gift with purchases over $250. Take pics and post with #skirtlastcall. Philadelphia's July 4th festival, Wawa Welcome America, celebrates America's birthday with more than 500 free family-friendly events including movie nights, Free Museum Days, fun educational activities, block parties, fireworks, a fitness festival, and the annual Wawa Welcome America 4th of July concert, featuring this year's headliner, Pitbull. The fun kicks off with the Summer Love Launch Party and Neighborhood Arts Celebration June 28, 3-8pm, in Dilworth Park at City Hall! 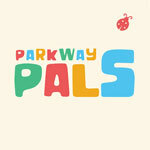 Parkway Pals - Learning and Fun all Summer Long! Come outside for a gaggle of educational good times for kids in Sister Cities Park! On Mondays, enjoy Story Art (10:30am) with the Free Library of Philadelphia and Philadelphia Parks & Recreation; and the Young Science Hour (11:30am) with The Franklin Institute. On Wednesdays, come out for Grow Up Green (10:30am) with Philadelphia Parks & Recreation, Crafty Creations (11:30am) with The Fabric Workshop and Museum, and Nature in the Park (12:30pm) with the Academy of Natural Sciences of Drexel University. All programs are free. Renew your strength, refresh your mind and reshape your body. Every Tuesday throughout June and July (excluding July 3), The Bar Method Rittenhouse will be teaching a free 45-minute outdoor barre class at The Plaza at the Comcast Center. Registration is from 5-5:30pm. Class is from 5:30-6:15pm. After class, grab dinner to-go at The Market and Shops at Comcast Center. Bring your own mat, towel and water. Are you trying to build consumer awareness of your brand? 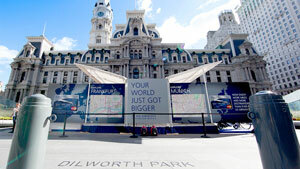 Start the conversation and drive engagement by hosting your experiential event at Dilworth Park, where you can reach an average of 35,000 visitors every weekday. Contact Venue Sales Specialist Sarah Anello, at 215.440.5507 or rentals@centercityphila.org for more information. Photo Pop Philly is the first interactive pop-up exhibit of its kind in Philadelphia, featuring five red-white-and-blue themed rooms with original murals and art installations. Inspired by the history of Philadelphia and the American spirit, the interactive pop-up exhibit showcases local artists, including Amberella, Martha Rich, These Pink Lips and more. Open Tuesdays through Sundays through July 8 with timed tickets for entry, available online. Presented by VISIT PHILADELPHIA and curated by Philly PR Girl. 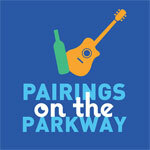 Pairings on the Parkway is Back! This BYOB event returns for another season at Sister Cities Park, featuring singer-songwriter style live music 5-8pm every Thursday this summer. Logan Square Café inside the park will offer a special summer grilling menu and the Children's Discovery Garden will offer extended hours. You can also enjoy Chaddsford Winery wines by the glass ($6 to $8) and PA craft beer cans ($6), or purchase wine by the bottle to take home ($12 to $18). Philadelphia's great transit system and pedestrian-friendly streets make car-free travel, shopping and dining easy in Center City! Get information on routes, fares, schedules and more, at SEPTA.org or RidePATCO.org. Visit ShopCenterCityPhilly.com to see the eclectic mix of national and independent retailers that await you downtown!